Venturi coated with a durable polyester powder coat finish. Rugged heavy gauge galvanized housng. 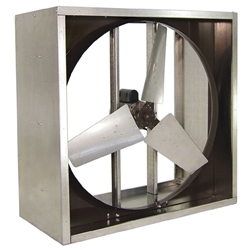 Single Phase fans include cord and molded plug.